Grasslands Nursery: How to achieve the Japanese garden of your dreams! How to achieve the Japanese garden of your dreams! What plants we suggest to give that “Japanese garden feel"
Okay, so you have been looking online at these great photos of gardens but not seeing the names of the plants being used and it's leaving you a bit stuck? To kick things off let’s start with one of the biggest items you would be looking at for your new garden. It would have to be a bonsai tree, but not just any old bonsai tree, not the typical dwarf indoor bonsai trees (while they are nice) this must be a sculpted piece of artwork that will take the breath away from onlookers and is refined to the point that it is the most impressive and center-most part of your garden. Now of course there are many different routes you could go down for this look, where you could buy it outright (which let’s face it will put quite a dent in your pocket). Or you could start off with a small Ilex Crenata or Buxus and trim it into shape yourself as the plant grows. Note that this method will require a lot of time and patience! Now we move onto Bamboo, this is probably what most people think of and want for a traditional Japanese garden. 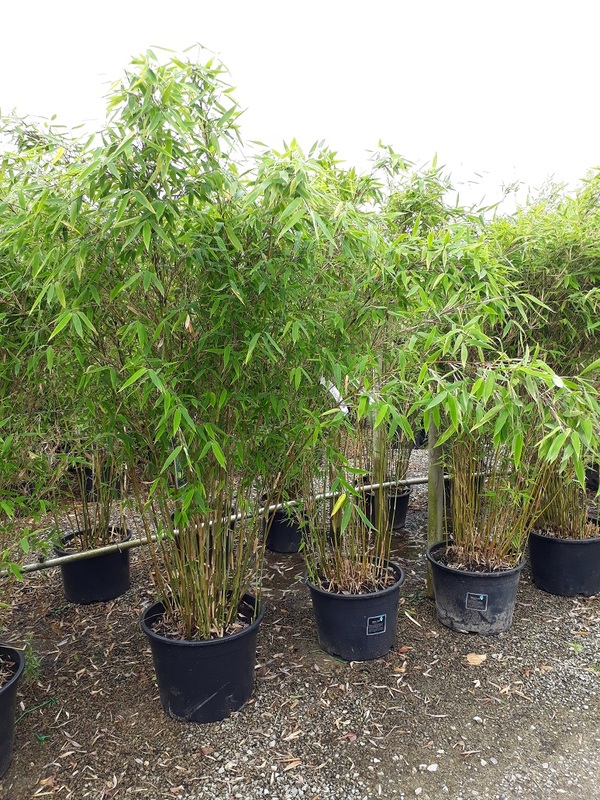 Sadly it has earned itself a bit of a bad name as the "invasive plant"but in fact there are so many varieties of non-invasive clump-forming bamboos, you will be spoilt for choice! In terms of impact the bamboo hedge can really tie a garden together, used commonly either as hedging or as a shrub to be grown as a specimen (perhaps potted) it works extremely well. We believe that this looks better however as a hedge as it will screen away unpleasant sights such as old fence panelling or perhaps give privacy from a nosy neighbour while also creating a lushious amount of green! However your garden looks, Bamboo is almost a must for getting an oriental feel. Here are a few different bamboo types that should cover all your bamboo needs! Yang is recognised by her bright yellow wood and bushy light green foliage. It represents the sunrise and the day. Fargesia murielae or'Yin' symbolized by his dark green black wood the setting sun and the night. Great for hedging and standalone feature. New none spreading form reaching up to 3m. To maintain balance and harmony you ought to find room for Yang. Phyllostachys Aurea - golden groove bamboo - Clump forming stiffly upright bamboo with grooved canes, bright mid-green at first, becoming brown yellow when mature. Narrow pointed yellowish to golden green leaves. Usually thought of as an invasive bamboo, when planed correctly and tended can be a great looking non-invasive clump-forming bamboo. 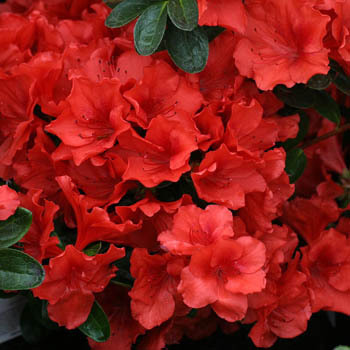 This is probably the most iconic “Japanese” plant we have on this list. Okay that may be a little too much praise. 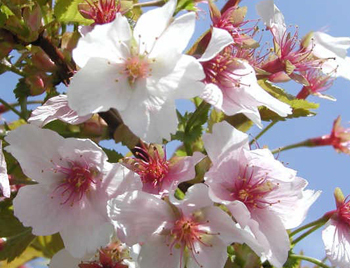 Nonetheless it’s the tree everyone knows and should be an integral part of your new garden, not to mention in any small part it is considered the national flower of Japan! These plants are very richly symbolic and hold great meaning with many cultural aspects from parts of Buddhist faith and culture. 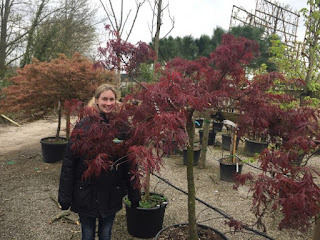 While I do not have time to go into the impact Flowering Cherry trees had in Japanese culture, I can safely say they are a must for your garden whether you are making a themed garden or even if you are just interested in a great looking tree! Acer Palmatum also known commonly as Japanese Maples, just from the name you can tell they should be a plant to include in your garden checklist! These brightly coloured plants are deciduous meaning come winter they will look a little bare, but that is a small price to pay for the enormous amount of colour you can get from them the rest of the year. 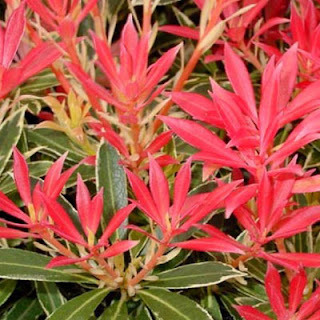 There are commonly two variations of this plant being either a non-dissected or a dissected plant, now it can seem a little confusing but the only difference between the plants are the shapes of the leaves. Some people say that the dissectum varieties can hold their colours for longer or appear more vibrant, but the final decision it should mostly come down to personal preference over the shape of leaf. Japanese Azaleas – as a small evergreen shrub this plant fits in extremely well no matter the garden and with you not needing to do anything for them they can fill up space nicely and will produce tubular flowers of different colours depending on the variant you go for. There are of course more plants I could go into but we have covered the main few plants to give your garden the feeling it has come straight from Japan itself! All you need now to finish this off is a Koi pond, traditional themed archways and a section for your “Rock Garden” or a “Zen Garden”. 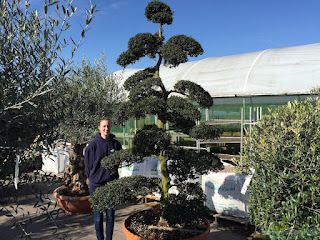 We hope this helps you find the garden of your dreams, if you have any questions about the plants mentioned in this blog then please do get in touch with me at zach@grasslands.co.uk.